The U.S. Mint produced over 980 million coins in February 2017. More than half of them were Lincoln cents. Facilities in Philadelphia and Denver produced far fewer coins for circulation in February than the previous month but more than a year earlier, according to the latest round of manufacturing data from the United States Mint. The sharp monthly decline follows trends of the past with the pace of U.S. coin production often quicker in Januarys and slower in Februarys. As is always the case, the Federal Reserve orders more 1-cent coins than any other denomination even as it costs 1.5 cents to make and distribute each one. The U.S. Mint produced a combined 534 million Lincoln cents in January, representing 54.3% of the circulating-quality coins produced for the month. 2017-dated circulating cents from the U.S. Mint at Philadelphia bear a ‘P’ mint mark for the first time in history. This is a one-year-only embellishment, added as a part of the Mint’s celebration of its 225th anniversary. These P-cents are not rare by any means with a combined 788.4 million made through the first two months of this year. 10.9% for America the Beautiful Quarters. Native American $1 Coins and Kennedy half-dollars are no longer ordered by Federal Reserve Banks but they are still made in circulating quality for coin collectors. 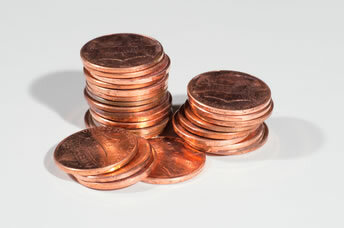 In January, the U.S. Mint tends to strike both coins to the expected amounts needed for the entire year. No more were made in February. U.S. Mint facilities in Denver and Philadelphia manufacture all of America’s coins for commerce. Last month, the Denver Mint struck 476.14 million coins and the Philadelphia Mint produced 507.26 million coins. In the January to February period, the Denver Mint made 1,392,300,000 coins and the Philadelphia Mint struck 1,381,400,000 coins. That lifted their combined year-to-date total to 2,773,700,000 coins, which is 13.4% higher than the 2,446,100,000 coins minted during the first two months of 2016. The 2017 monthly average of more than 1.38 billion coins tracks in 12 months to over 16.6 billion coins. Last year, the U.S. Mint produced over 16 billion coins for circulation. It registered as the second quickest for a year since 2001, after the more than 17 billion coins were made in 2015. Mintages for the 2017 Native American dollars remained at 1.54 million from Denver and 1.68 million from Philadelphia for a combined 3.22 million coins. Last year’s release ended with splits of 2.1 million from Denver and 2.8 million from Philadelphia for 4.90 million coins. Finalized mintages for Iowa’s Effigy Mounds quarter should be available by April. What are the mintages for the 2016 silver burnished American Eagle? As of Sunday, March 12, the sales of the 2016-W 30th Anniversary edge lettering Uncirculated Burnished finish ASE $1 coins in both options totals 200,0093 coins. That number should be 200,093 coins. Is dollar coins legal tender? Today, I am buying lunch for my family, I try to pay 16 of the dollar coins, the cashier refused it . Can someone tell me what should I do ?